Stamped Concrete by Innovative Concrete Design Inc. Stamped Concrete consists of a myriad of decorative designs, colors, and textures to achieve a look that is attractive yet affordable. We use the technique to create unique effects that compliment your architectural vision. 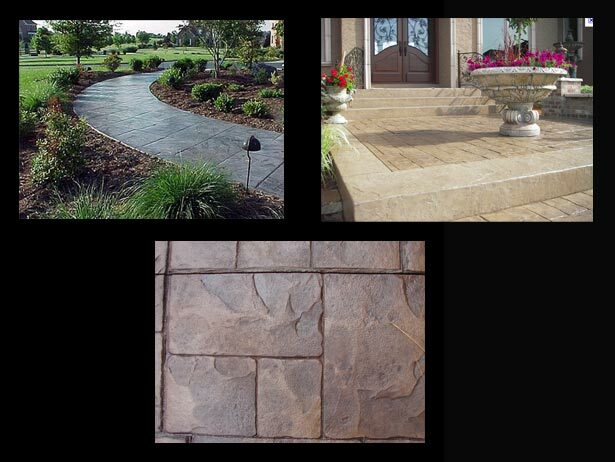 With the different types of stamp pattern we can acheive the look of cobblestone, flagstone, slate tile and others.